80% off for Labor Day! Take the the trenches and slay on, my friends! 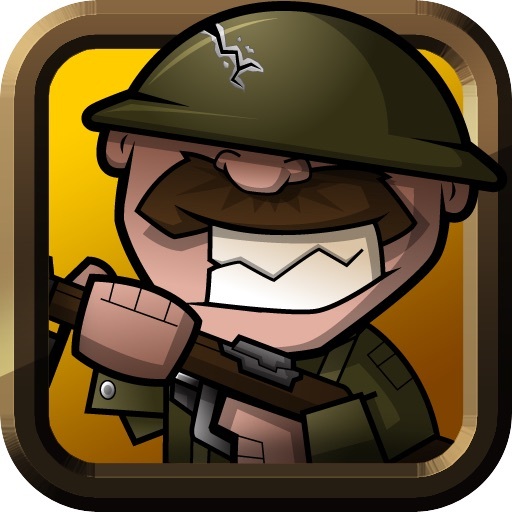 The AppStore Top 10 hit comes to the iPad as Trenches: Generals! The wait is over. 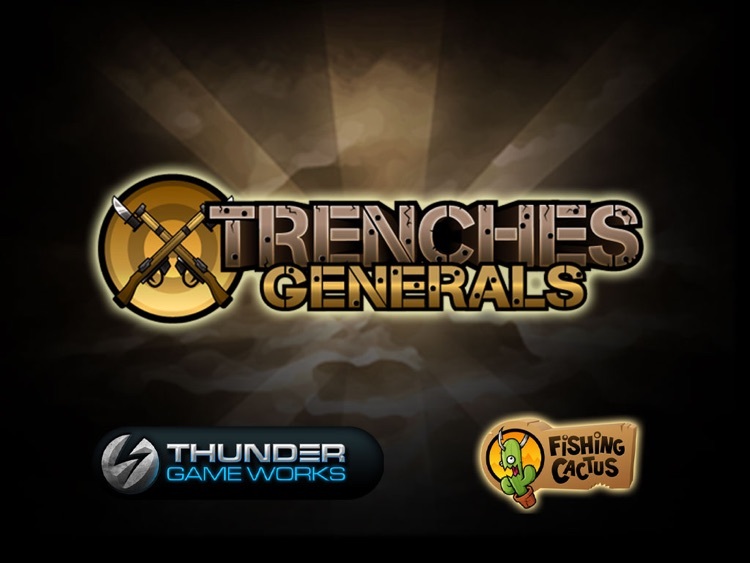 Trenches: Generals v1.2 is now out and it bears a payload of update AWESOMENESS! 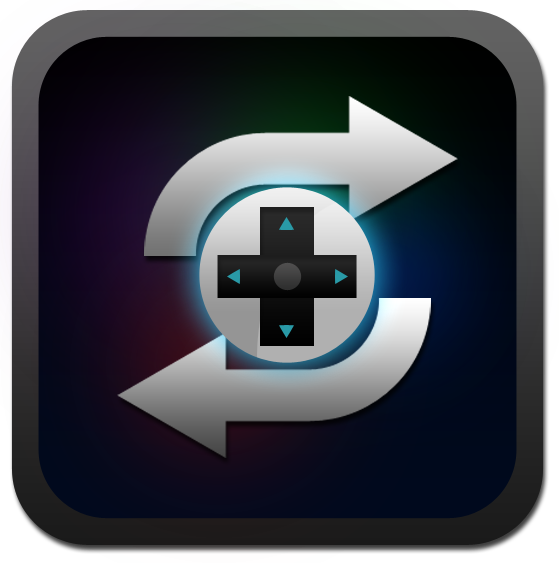 Here it is players ... as promised ... the FREE update containing ... GameCenter global multiplayer. Let the mayhem begin! NOTE: Trenches: Generals uses a lot of memory, so please restart iPad before playing to avoid crashes. 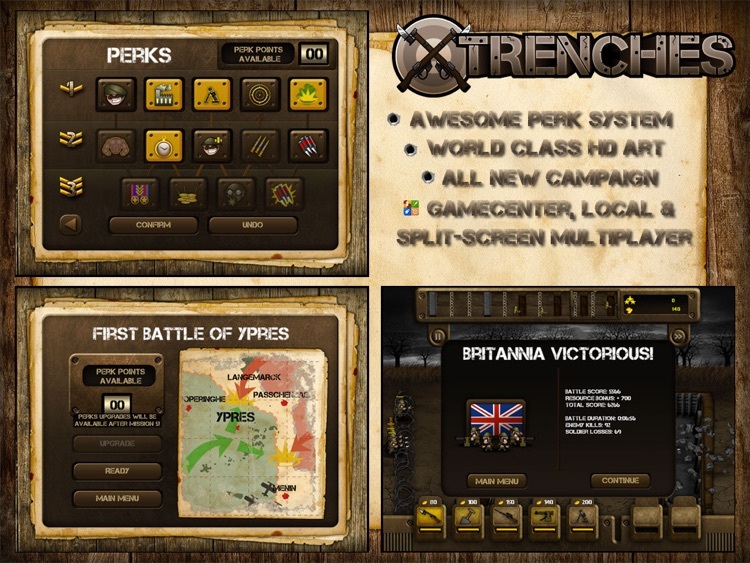 Take to the trenches once again in this redefined version of Trenches built for the iPad from the ground up with exclusive features and content! 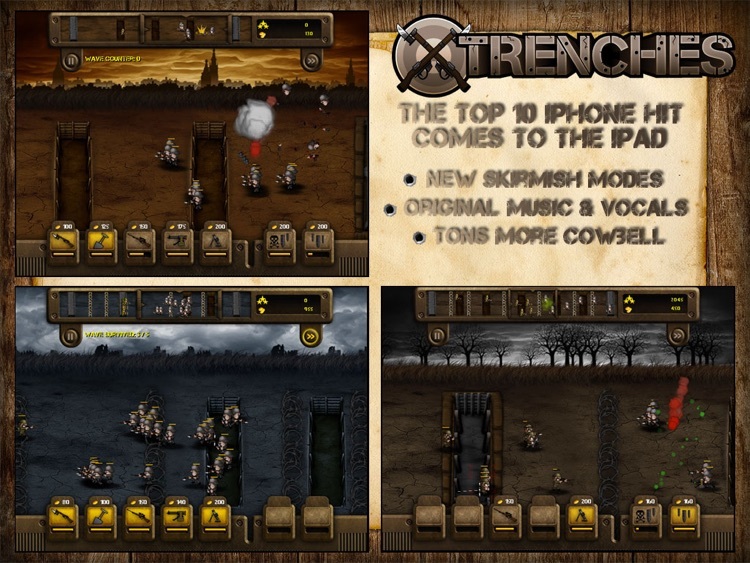 You can now battle friends, enemies and strangers in Trenches: Generals. Watch as your artillery makes gibs of your opponent. 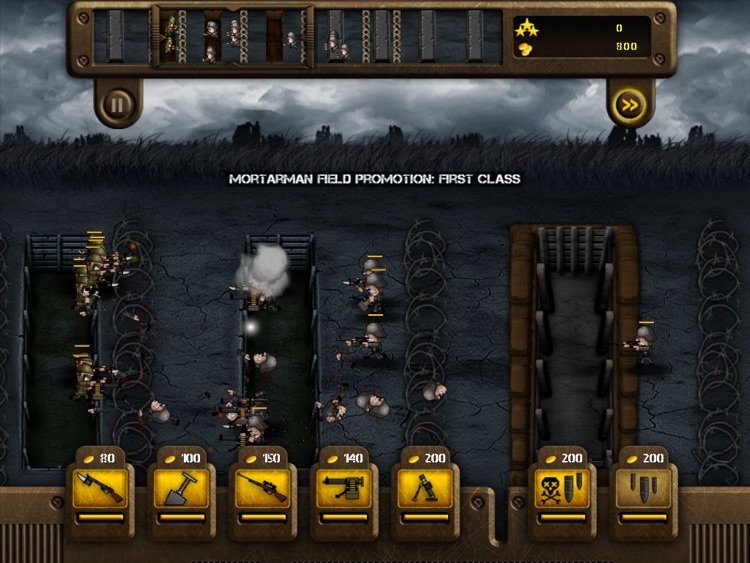 Delight as your army rolls over theirs with relative ease. Maniacally laugh while you choke the battlefield with your minion. Your victory is almost assured ... time for tea. Yep ... it’s good to be YOU! √ Zombie Horde ... who doesn't love Zombies? 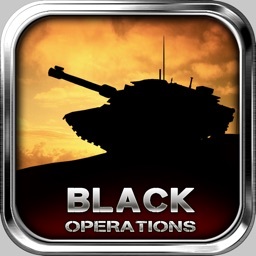 As always, it is your 5-star reviews that allow us to continue making great games! Remember, friends don't let friends give bad reviews to good games. 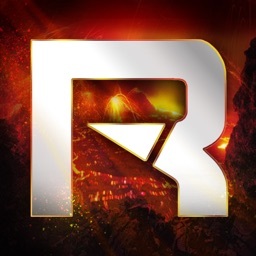 Follow us on twitter @thundergamewrks and find our page on Facebook! New to Trenches? 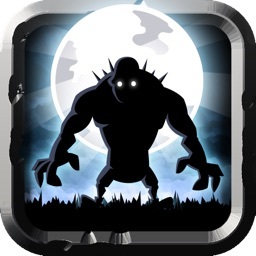 Be sure to check it out on the iPhone! 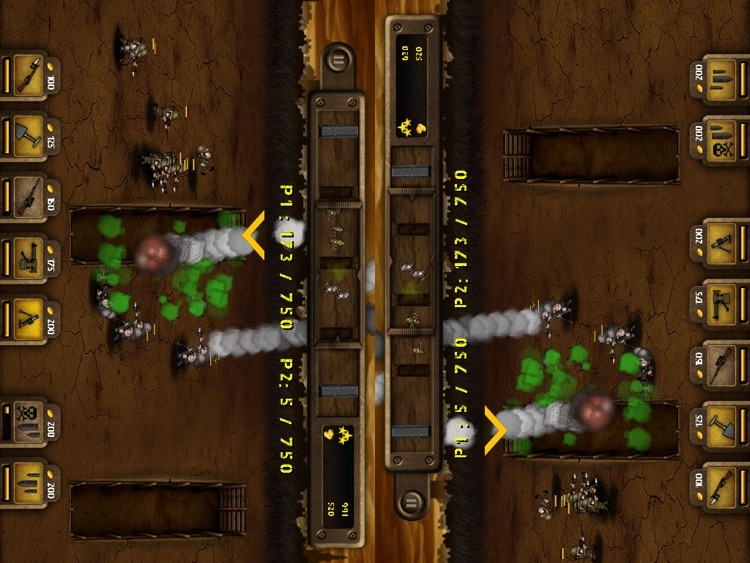 It has online multiplayer, too!